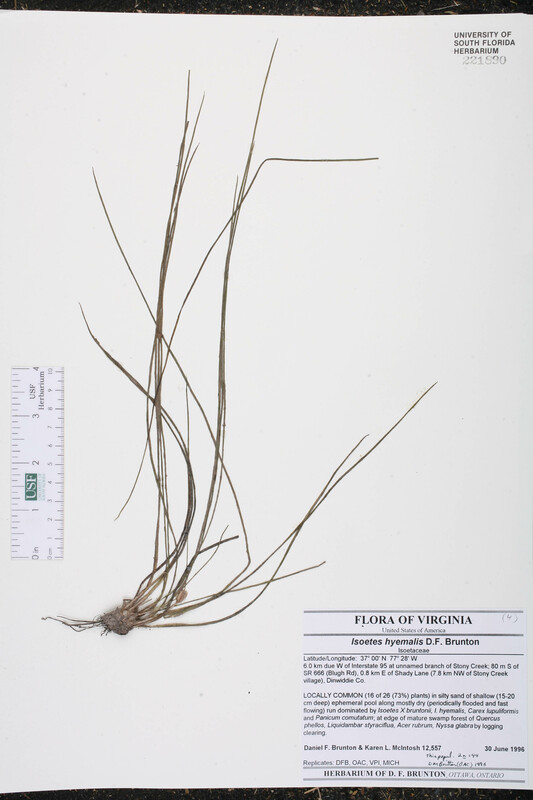 Locality: Florida, Holmes Co., Contact USF Herbarium if additional information is required. Habitat: Swampy woods; Isoetes appalachiana nearby. Locality: USA. Virginia. Dinwiddie Co.: 6 km. due W of I 95 at unnamed branch of Stony Creek; 80 m. S of SR 666 (Blugh Road); 0.8 km. E of Shady Lane. 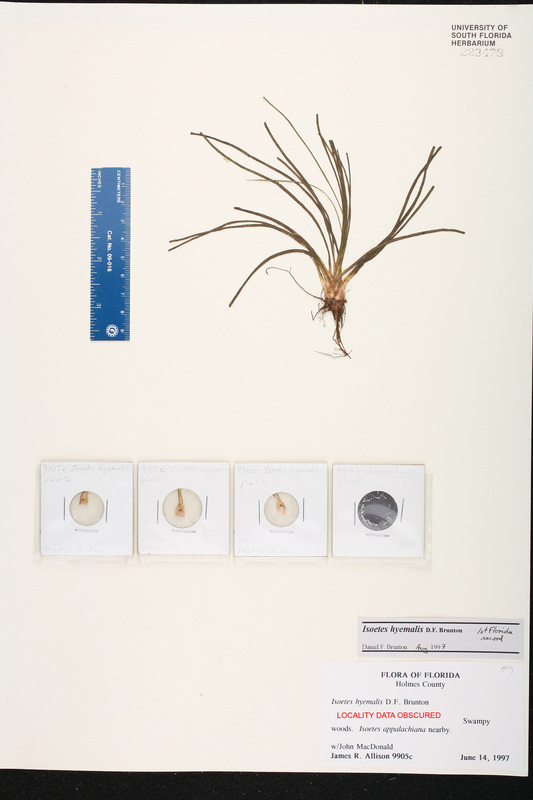 Description: Locally common (16 of 26 (73%) plants). Habitat: In silty sand of shallow (15-20 cm. deep) ephemeral pool along mostly dry (periodically flooded and fast flowing) run dominated by Isoetes x bruntonii, I. hyemalis, Carex lupuliformis, Panicum comutatum; at edge of mature swamp forest of Quercus phellos, Liquidambar styraciflua, Acer rubrum, Nyssa glabra by logging clearing.